Lita Dirks, nationally renowned owner of award-winning interior design firm, LD & Co., is excited to have the opportunity to share industry knowledge and experience at two different presentations. Creative storage and organization design in action. The 2019 NAHB International Builders’ Show (IBS), February 19-21, in Las Vegas, NV is the largest annual light construction show in the world. Each year it attracts builders, supplies, designers, and architects from around the world providing cutting edge building techniques and innovative education. During this event-packed show, Lita Dirks will be collaborating with colleagues to present at two different education sessions. Why attend? In this session, they will explore how builders can use the upgrade process to provide the storage options buyers expect by giving them the power to select exactly what they want, keeping them satisfied, even thrilled. From the entryway to the garage, bedroom closet to the pantry, they will go room-by-room to reveal 50 storage trends buyers want in their new homes and provide easily-implemented solutions. Why attend? In this session they will describe how to sell one product to three different buyer types. They will walk you through tips and tricks to update a product from plan to finishes and meet the needs of different buyer segments. For more information on attending IBS, please visit the NAHB IBS website and be sure to mark your calendar for both of Lita’s session. 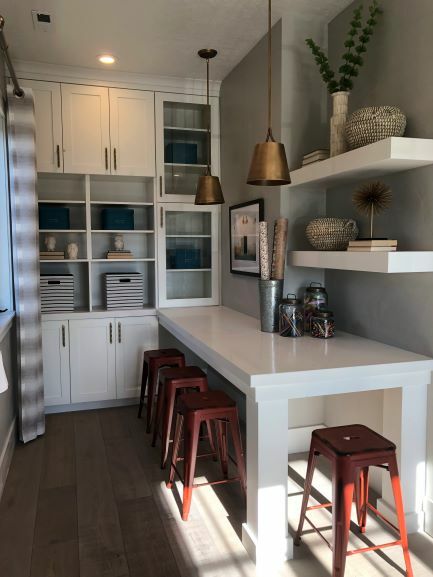 Lita Dirks & Co., the highly-acclaimed interior design and merchandising firm has successfully partnered with builders and developers to create communities that excite buyers and sell homes. For over 20 years Lita Dirks & Co., has designed award-winning model homes, clubhouses, apartments, and sales/design centers that have resulted in successful sales, happy homeowners, and long-term relationships with their clients. More information on the company can be found at litadirks.com.